Lyft and tech company Hitch Health recently released the findings of a yearlong, nonemergency medical transportation pilot that took place in Minneapolis at the Hennepin Healthcare internal medicine clinic. The result of the pilot seems to show a great deal of promise, as the outcomes of the survey showed that “targeted patients who have missed appointments in the past” reduced no-shows by 27 percent. The pilot essentially worked as follows: Hitch Health’s automated short message service (SMS) technology offered Lyft rides to patients that needed them. This increase in kept appointments meant an increase in revenue for the clinic by about $270,000, a return-on-investment of almost 300 percent. Missed appointments cost the healthcare industry an estimated $150 billion a year. Transportation barriers — such as being able to make a scheduled appointment — results in about 3.6 million no-shows annually; Healthcare Dive reports that the average rate of appointment no-shows resulted in a daily loss of $725.42, according to the study. However, a separate study shows that complementary Lyft rides did not reduce no-show rates for Medicaid enrollees in Philadelphia. The American Hospital Association says that missed appointments affect the health of patients, and can increase medical care costs, and can negatively impact of patient care and provider-patient relationships. They also may increase the number of emergency department visits, but the jury may still be out on that. At the clinic where the pilot took place, a no-show appointment cost an average of $100 for each visit. The pilot program found that the cost of paying for nonemergency transportation is less than $15 each way, resulting in a net gain of more than $70. The other study, conducted by the Penn Medicine between Oct. 24, 2016, and April 20, 2017, showed that 26 percent of Medicaid patients took up the offer of a free Lyft ride to their appointment, but there was a "lack of difference in missed appointment rates." "We’re excited by these early pilot results, which demonstrate that strategic partnerships in healthcare can have a significant impact on patients’ lives," Gyre Renwick, vice president of Lyft Business, said in a statement. "We are looking forward to reaching even more people across the country with Hitch Health to ensure transportation is no longer a barrier to accessing healthcare." Lyft is not alone. Ride-sharing behemoth Uber has entered the market, too, with platform Uber Health. It is designed to allow healthcare workers to book rides on demand or schedule a future ride for a patient. Uber is said to be testing the platform at about 100 hospitals and medical practices. Uber also recently launched an interface that "enables integrations into existing healthcare products, with features that include billing and reporting for organizations to keep track of spending on rides and HIPAA compliance." 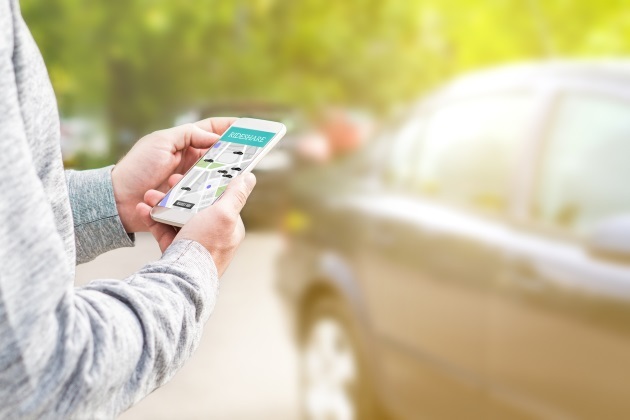 Both ride-share giants are attempting to grow the number of health systems they can work with to get patients to their appointments, including MedStar Health (Uber) and Cigna-HealthSpring (Lyft) for Medicare Advantage patients.